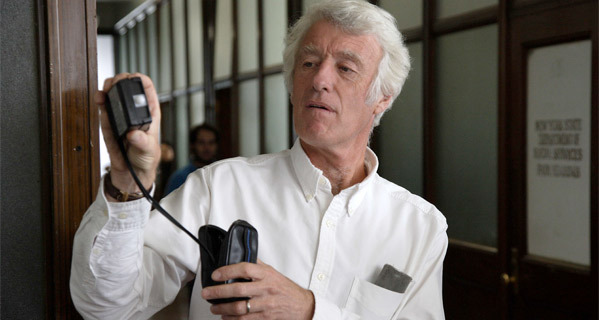 One of the real masters of modern cinematography is Roger Deakins, a British cinematographer who has been nominated a whopping 11 times for the Best Cinematography Oscar, yet hasn't won one yet. Every year he always seems to end up a talking point during the awards season, because every year he continues to turn out amazing work. Plot Point Productions has decide to pay tribute to Roger Deakins in a video they've just released called "Deakins: Shadows In The Valley", a five-minute montage of some of his best shots and visual techniques. From Skyfall to The Assassination of Jesse James to Fargo to Prisoners to True Grit, his work is always astounding to see, and this video beautifully highlights some of his finest work so far. Enjoy. That wonderful music is from The Assassination of Jesse James, the track "Song for Bob" by Nick Cave and Warren Ellis. For more, see Plot Point's Vimeo page. Thank you to @cinovation for the tip. I really do love Deakins' work as Director of Photography and some of my favorite shots are in this. The chase in Prisoners is incredible, everything in Jesse James, anything from the Coen Brothers from True Grit to No Country, every last shot in Skyfall is gorgeous, the simplicity of Doubt. He is extremely talented and always delivers, one of the great cinematography masters along with Alfonso Cuaron, Freddie Young, Gordon Willis. And I'm especially glad he's still out working. Coming up: Angelina Jolie's Unbroken and Denis Villeneuve's Sicario. Seen above - the man himself, Roger Deakins, at work. Hopefully some day soon he'll finally get his Oscar. His work on SKYFALL was breathtaking. Not sure if Deakins was nominated this past year or not, but the fact that Gravity took the award was one of the greatest injustices ever. The entire film was green screen, is the Academy on dope or what?